The overarching aim of the Law and Language at the European Court of Justice Project (LLECJ) project is to elaborate a new understanding of the development of EU law by examining the process behind the production of the multilingual jurisprudence of the Court of Justice of the European Union (ECJ). Achieving that goal involves bringing together research fields which traditionally pay little attention to each other – linguistic theories, anthropological research methods and law. By analysing the relationship between law, language and translation in the jurisprudence of the ECJ, using methodological tools borrowed from fields outside of law, the LLECJ project aims to introduce a new facet to the current thinking on the development of the EU legal order. There is an extensive literature on the ECJ. 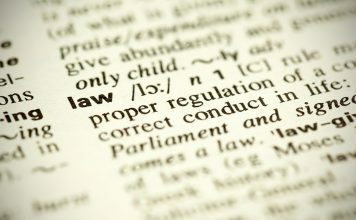 The main bodies of literature concerning that Court (notably legal and political science literatures) focus on its role in developing the EU legal order. Legal literature is generally concerned with analysing the legal logic behind the ECJ’s rulings and discussing how that Court can affect policy changes in the EU, insofar as practice may have to change to comply with a particular ruling. Political science literature, on the other hand, is interested in ‘judicial politics’, the policy dynamics that can be inferred from the Court’s decisions and in examining the political context and consequences of those decisions. However, each of these bodies of literature remain predominantly focused on the decisions of the Court and on judicial reasoning/investigating the reasons of motivation behind those decisions. Much has been written on why the Court makes certain decisions and the effects of those decisions, but there has been very little research into how its multilingual jurisprudence is produced. In recent years, sociologists and anthropologists have shown great interest in EU institutions – in particular the European Parliament and Commission – and various studies and ethnographies of those institutions have been carried out. Such studies, based on periods of fieldwork research in the services of the Parliament and Commission, provide a valuable insight into the workings of those institutions and it is interesting to note the significance of culture, identity and language in the policies, actions and day-to-day life of the institutions. In spite of the fact that EU institutions are staffed by individuals from member states with diverse social and educational backgrounds, languages and cultures, each institution is, by its very nature “obliged to express itself with a single voice” presupposing that it has resolved any internal conflicts deriving from technical considerations and differing political approaches to similar phenomena. The question, for anthropologists, is: how exactly do the EU institutions resolve those conflicts? In their work, Abélès and Bellier make the point that process necessarily affects output. In the context of the European Parliament and Commission the ‘process’ involves a ‘cultural compromise’ through which European civil servants are able to work together in the unique hybrid environment of those institutions. The ‘output’ necessarily affected by that cultural compromise relates to the resulting ‘culture of compromise’ visible in the policies and actions of those institutions. Those anthropological studies also note the development of a mixed and hybrid ‘eurolanguage’ within the institutions, which is the linguistic manifestation of the cultural compromise by which the institution works. Bellier points out that such ‘eurolanguage’ functions perfectly well within the institution but can create problems when the Commission engages in discourse with the outside world. Bellier analyses the development of a ‘eurolanguage’ within the European Commission, however the texts produced by the ECJ also have to resonate comprehensively outside of that institution in terms of an EU legal language that is applicable throughout all 28 member states. While there have been some attempts to discuss cultural aspects of life at the ECJ, such works have been few and far between and generally only deal with culture and language in an incidental manner. None of the literature on the ECJ has problematised that institution in terms of operating in a multilingual, multicultural setting or investigated the institutional dynamics and situational factors behind the production of its multilingual jurisprudence. However, in light of the anthropological literature briefly discussed here, it is reasonable to presume that the process behind the production of the ECJ’s multilingual jurisprudence could have implications for the development of EU law. Therefore, understanding the situational factors of, and compromises involved in, the production of such jurisprudence could aid our understanding of EU law. The Law and Language at the European Court of Justice Project project is thus developing a sociology of actors at the heart of the production process and investigating the various cultural dynamics at play in that process. While it is generally accepted that language cannot be divorced from culture, and that the cultural, or multicultural, aspect of an institution will necessarily affect its output, the LLECJ project focuses specifically on the multilingual, as opposed to the multicultural aspects of the Court’s jurisprudence. The reason for such choice of focus lies in the nature of the Court’s ‘output’: the ECJ aims to produce statements of law that mean exactly the same thing in every language in which they are published and through such statements to ensure the uniform application of EU law. The linguistic perspectives of international adjudication in the European context is a relatively new field of research. While much scholarship on language and EU law has focused on the ECJ, it tends to mainly involve questions of language policy and regime, interpretation of multilingual legislation and pragmatic or logistical concerns. To date there has been no systematic study which has taken account of the fact that the jurisprudence of the ECJ consists primarily of collegiate judgments drafted by jurists in a language that is generally not their mother tongue, undergoes many permutations of translation into and out of up to 23 different languages and is necessarily shaped by the way in which that Court functions as a multilingual, multicultural organisation, as well as the fact that its ‘authentic’ judgments, as presented to the outside world, are for the most part translations. Yet the role of language in the production of the Court’s jurisprudence, and indeed the development of a new EU legal language, is of primary importance in investigating any potential implications for the development of EU law. The LLECJ project seeks to address that gap in the literature. For further information, visit the website here.